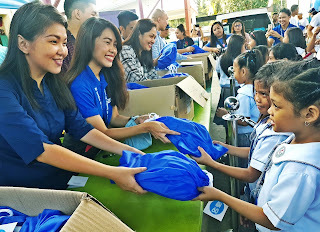 SM City San Jose Del Monte employees enthusiastically distribute new shoes to grade school pupils of Tungkong Mangga Elementary School as a part of the celebration of SM’s 60th anniversary. 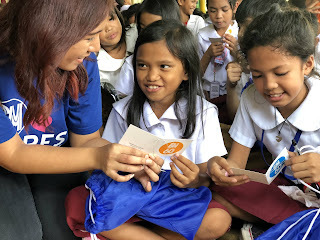 Along with handwritten note from SM Mall volunteers, new school shoes were distributed to students atLoma De Gato and Patulo Elementary School in Marilao, Tungkong Mangga Elementary School in San Jose Del Monte and Engr. Vicente R. Cruz Memorial School in Baliwag.